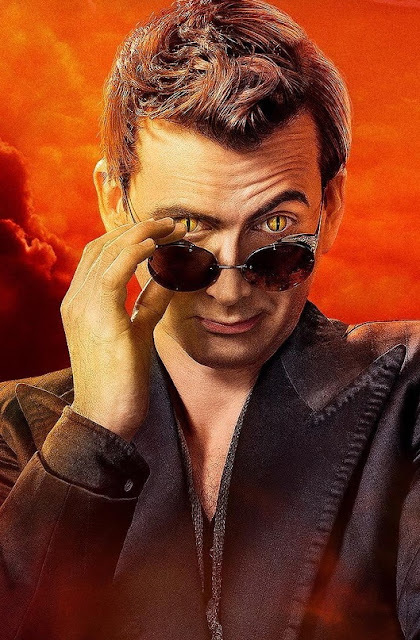 The first footage from Good Omens, the upcoming six-part series from Amazon Prime Video and BBC Two, has been shown to fans attending the two-hour long Amazon panel today. 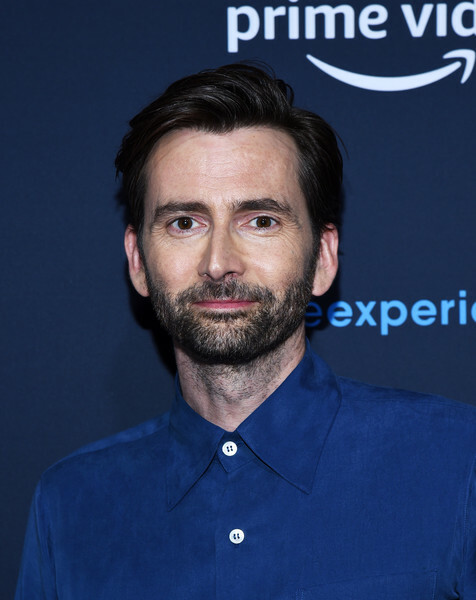 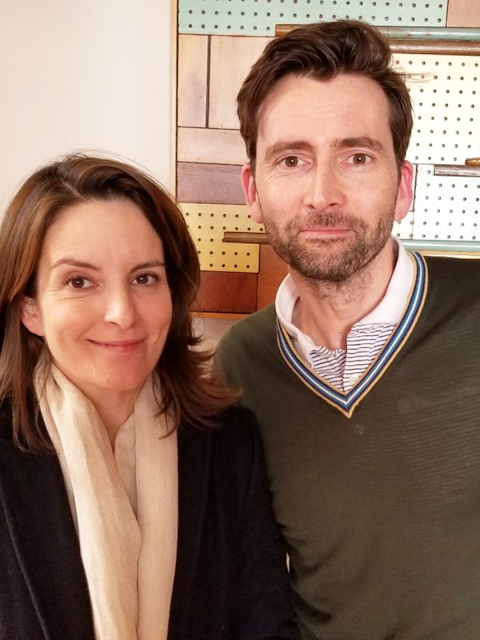 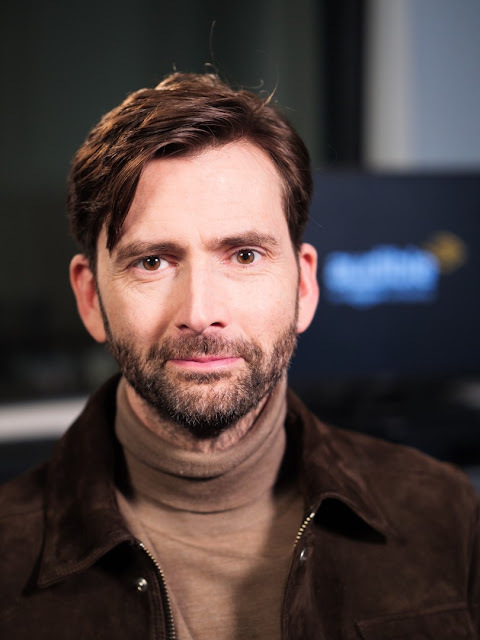 The audience was shown footage of the making of the show in a short behind-the-scenes clip which also featured interviews with stars David Tennant (Crowley), Michael Sheen (Aziraphale) and John Hamm (Gabriel). 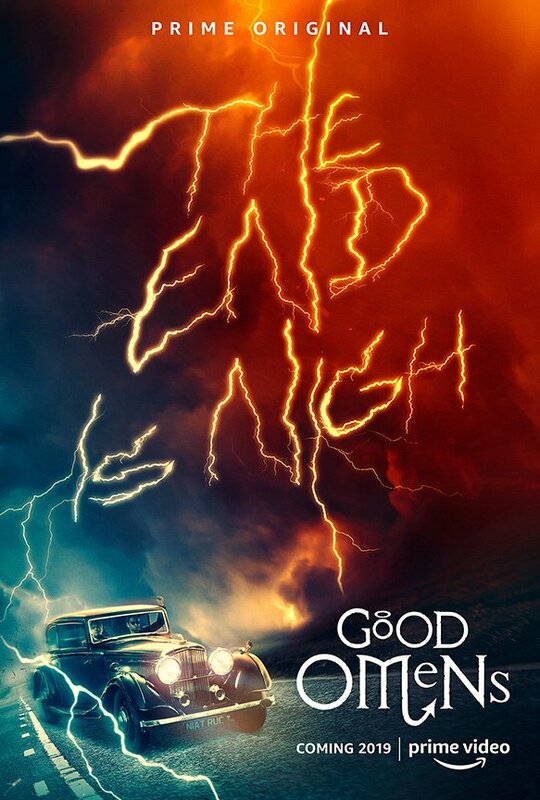 A teaser poster was revealed (above). 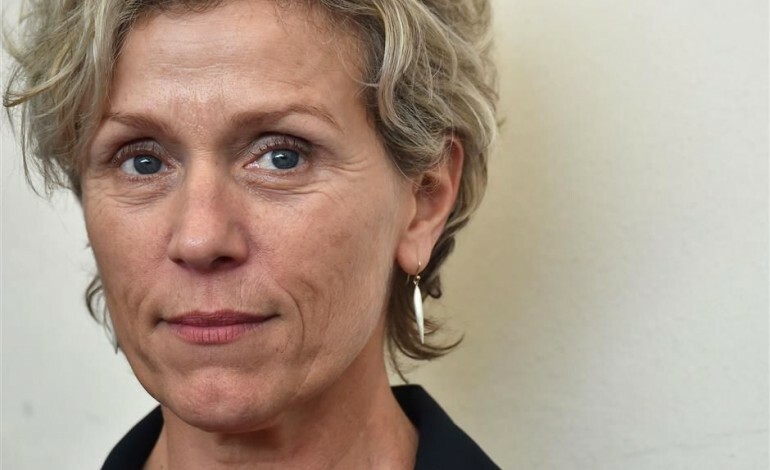 There was also an exciting cast reveal when it was announced that Academy Award winner Frances McDormand would be playing God, having been personally invited by showrunner Neil Gaiman to take on the role. Good Omens was adapted and produced by Neil Gaiman from the original novel the he co-wrote with the late Sir Terry Pratchett. 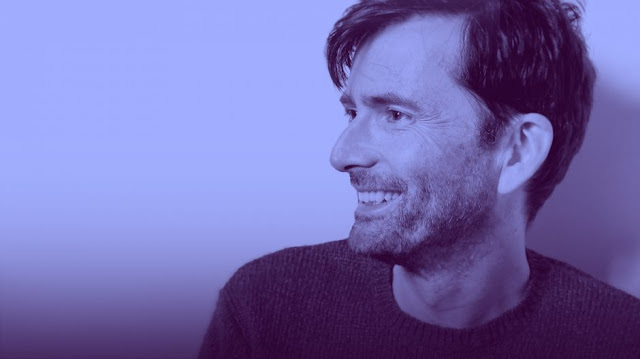 The show was directed by Douglas Mackinnon and was shot in 2017-18 in the UK and South Africa. 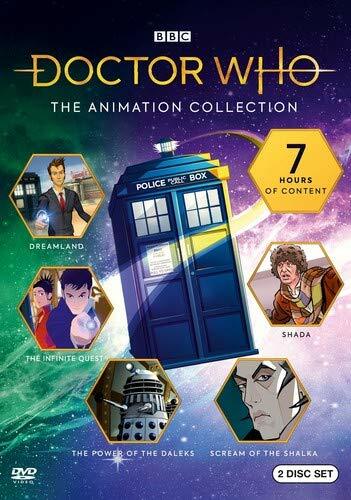 Other cast includes Miranda Richardson as Madame Tracy, Michael McKean as Shadwell, Jack Whitehall and Newton Pulsifer, Adria Arjona as Anathema Device and Nina Sosanya as Sister Mary Loquacious. 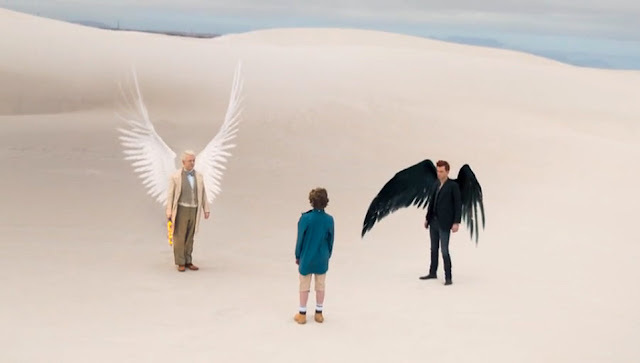 The plot concerns an angel and a demon who join forces to try to avert the impending Apocalypse, a feat that would be much easier if one of them had not misplaced the Antichrist. 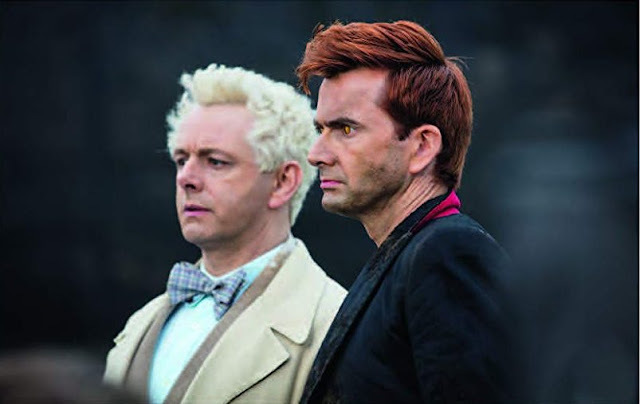 The series will premiere worldwide on Amazon Prime in early 2019.